Dana Hooper, “Caz,” oil, 6×6 in. 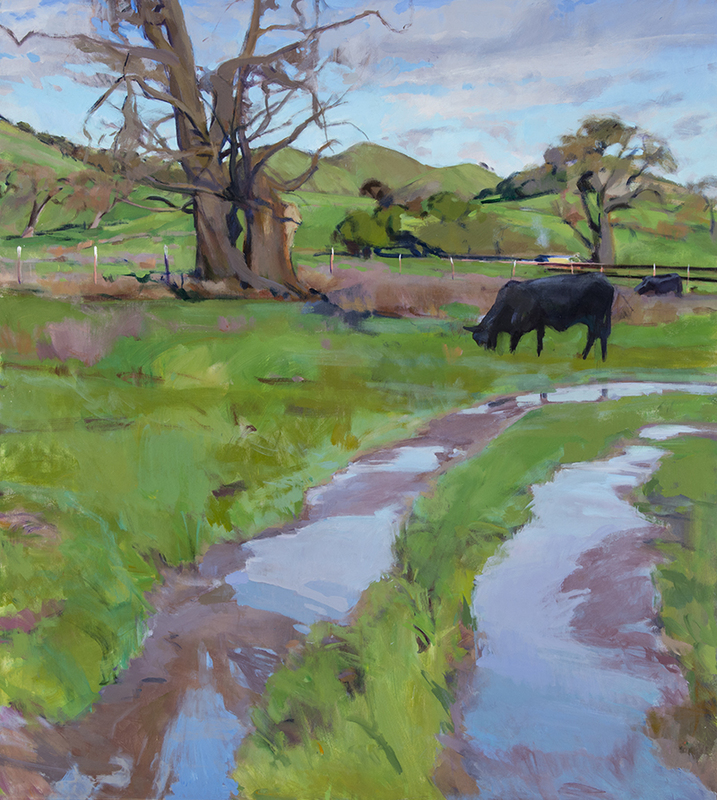 Marcia Burtt Gallery presents “Rural Life,” an exploration of the countryside by gallery artists. Fields and flora, cows, chickens and horses illustrate freedom from the urban as well as the richness of agrarian life. Barns, haystacks, old trucks and tractors signify human presence and show our reliance on this terrain for food production. 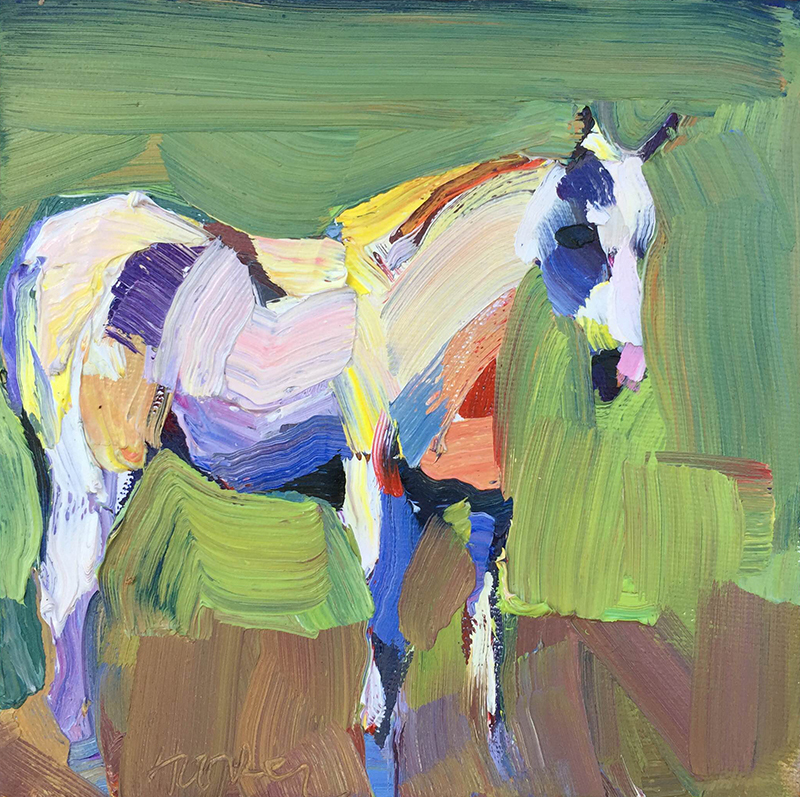 Colorful chickens and cows, overgrown dirt paths, bright green vines beside monumental farm buildings—the colors and textures of life determine paint application on canvas. Fences and row crops create visual embroidery, stitching together quilted fields. Rural may sometimes serve as a shorthand for simple, but the works in this exhibit are rich and complex celebrations of a necessary landscape. Artists: Jeff Yeomans, Anne Ward, Marilyn Turtz, Randall David Tipton, Erling Sjovold, Ray Roberts, Ian Roberts, Susan Petty, Ann Lofquist, Marilee Krause, Dana Hooper, Michael Ferguson, Patricia Doyle, Marcia Burtt, and Robert Abbott. Special to this exhibition are two newly available Glenna Hartmann pastel paintings. Hartmann, 1949-2009, influenced the national resurgence of pastel painting. 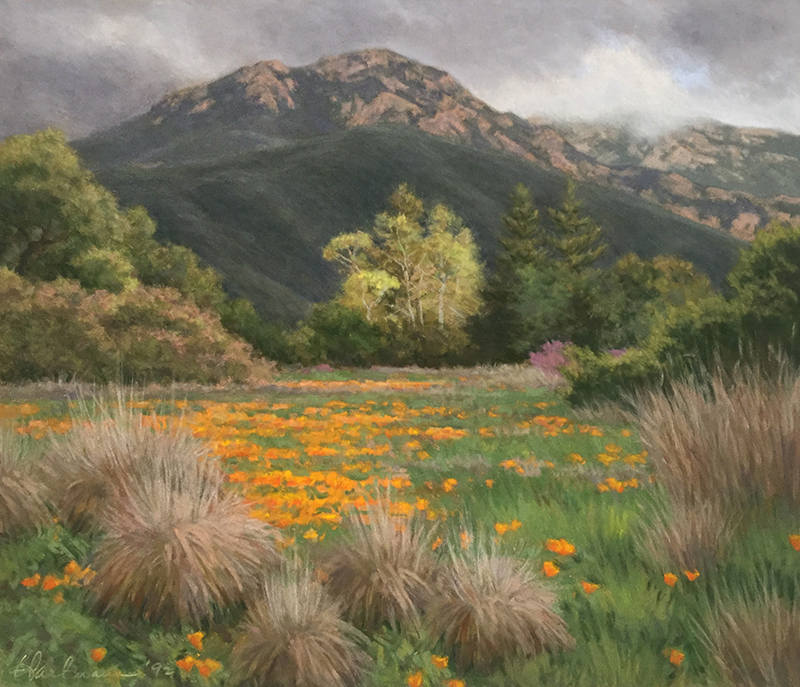 As an educator and early a member of The Oak Group she led Santa Barbara artists to a renewed appreciation of our local beauty, inspiring them to go outside and paint. Her sylvan vistas capture local landscapes as idylls, but the strength of her commitment to preserve the land and support other artists was the background to her artistic influence. Glenna Hartmann, “March Storm,” pastel, 15×17.5 in.